From the Poughkeepsie Journal, 17.12.2010: "Levon Helm home from hospital". "Remembering Rick " -- Carol Caffin's post to commemorate last week's 11th anniversary of Rick Danko's passing. From Rolling Stone: "Artists Pick Their Personal Top 10s: Robbie Robertson -- New Orleans Music". From the Poughkeepsie Journal, 12.12.2010: "Levon Helm hospitalized, but OK". We're wishing you a speedy recovery, Levon. "This Neil's on Fire: A classic cut reborn" -- article about Garth Hudson's recent work with Neil Young and other Canadian artists, from the Toronto Star. 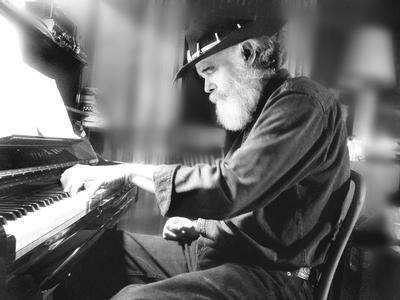 New Garth Hudson interview from Toro Magazine. "Quite a few comments/questions are being posted about Robbie's new album. As soon as I have some concrete info I'll be sure and let you all know but I think it's safe to say that SPRING 2011 will be the release..."
"Want to write an album review? On Robbie's new website you can click on the "music" tab, select albums and at the bottom of the page you can write your own custom review." You want to see and hear this: "The Man Behind The Drums" -- Robert Earl Keen's homage to Levon and the Midnight Ramble from Austin City Limits. Thanks for sending us the link Stu, hope to see y'all again some time soon, after this smoke has cleared. "The Band's Hudson reworks group's classics with an all-Canadian cast" -- article from the Toronto Star. Here's cover art, track list and more for Garth's new project Garth Hudson Presents a Canadian Celebration of the Band. Release on November 16 by Sony Music Canada, US and worldwide later. Order now from amazon.ca! The spring 2010 issue of Roll magazine had a previously unpublished '70s Barry Feinstein photo of Levon on the cover. Thanks to Tom Grasso for sending us this one. From Robbie Robertson's Facebook page: "The mixing of Robbie's new album is finished and we will master it soon. Stay tuned for more info about release dates etc." "To say that Jeff Newsom is the best harp player you've never heard is not an exaggeration...." -- read the rest of Peter Stone Brown's review of The Henhouse Tapes, then go buy the CD. "A Fool's Paradise" -- Facebook video with Rick's brother Terry Danko. You want to read this: "Small Town Talk with Carol Caffin, publicist and close friend of the late Rick Danko of the Band". 75 years ago, an angel came to this planet. She became my mother. Happy Birthday, and may there be many more. October 2010 article from Rolling Stone: "Live Report: Levon Helm With My Morning Jacket". Thanks to Tim Wood for the link. There will be over 65 prints on display, some of which have never been shown before. Also, on display for the first time will be Looped, a video projection of Impressionist Renderings made with Woodstock Festival and Jimi Hendrix images. Elliott created these with an application he designed and they spectacular arecolorized superimpositions, randomly generated which will blow your mind or, at least, expand it a bit. Read The Montreal Gazette article about the show. We've got a few scans of old articles that need to be typed in for inclusion at this web site. Volunteers please e-mail us. Thanks. Levon Helm appears on the upcoming second benefit album from Don Imus' Ranch for Kids with Cancer project. Music from Big Pink made it into Rolling Stone's new list of top 10 debut albums. The Levon Helm Band/Ray Lamontagne and The Pariah Dogs November Tour: Ticket and tour info and press release. Kids Ramble -- September 25th. The Levon Helm Band will be at The Beacon Theatre, NYC November 26th and 27th, 2010. Tickets go on sale September 17 at Ticketmaster. The upcoming documentary Tears of Rage: The Story of Richard Manuel will be released in March 2011, 25 years after Richard sadly passed away. Check out waterstreetfilms.com for more info. There's a new Basement Tapes bootleg out there: Rhyme Beyond Reason, credited to "Robert Allyn & The Crackers". Thanks to Peter Viney for scans and details. Hey, Ronnie Hawkins is still at it: "The Hawk flies in Port Credit". Thanks to Freddie Bateh for the link. Sean Lennon showed up at yesterday's Midnight Ramble along with Jane Fonda! "Levon Helm, soul of The Band, rambles on" -- new video report and article from CNN. 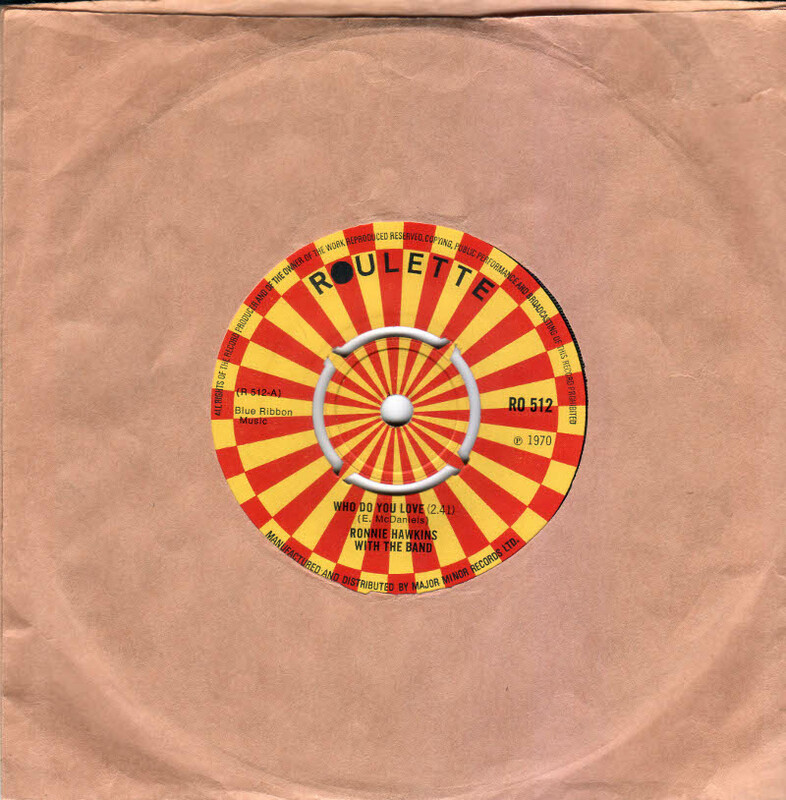 "Robbie Robertson & Elvis Costello 'I shall be released' Live " -- YouTube video. "Levon Helm Band a genuine delight at the Greek" -- nice review of a gig in LA last week. Link provided by Stu Hruska. "Concert: Levon Helm with Steve Earle, Jenny Lewis and Johnathan Rice in Los Angeles". May you rest in peace, Richie Hayward. "The Dukes of September: Fagen, McDonald, Scaggs Join Forces For Rhythm Revue Tour" -- Billboard article mentioning Levon Helm's former wife Libby Titus, Donald Fagen's sitting in on some of Levon's Midnight Rambles and The Dukes of September doing a medley of Band songs during their shows. Thanks to Paul Schoninger of Lexington, KY, for the link. The absolutely great Chris Bergson Band, a regular at Levon Helm's Midnight Rambles, are touring Europe in August and September! Check out chrisbergson.com for tour dates and more info. "Saw the Levon Helm Band in Vancouver last night. Elvis Costello was the guest. He nailed 'Tears of Rage' and shared vocals with Larry Campbell on 'Chest Fever'. Good show overall. 'Chest Fever' was the highlight; Campbell played the 'organ solo' on guitar." "Phil Lesh Jams at Levon Helm's Midnight Ramble -- Dead legend and his sons join Donald Fagen for surprise set". "Grateful Dead's Phil Lesh, Jane Fonda 'Ramble' in Woodstock". Here's a Rolling Stone review of the Levon Helm Band at the Newport Folk Fest. Link provided by Jonathan Katz, who says: "I saw Levon and company at Wolf Trap about a week ago. They were great and the Washington Post review was ridiculous!" Rock The Body Electric: Willie Nelson and Levon Helm Live @ Radio City Music Hall 7-28-10, Pic's and Videos! Thanks to our dear old friend Stu Hruska for the links. Check out Robbie Robertson's YouTube channel to keep up with all his videos new and old. Fred Carter, Jr., who played with the Hawks in the '60s, produced two of Levon Helm's solo albums and joined the reunited Band for a short period in the late '80s, died Saturday, July 17. He was 76 years old. See also this obituary from theBoot. Robbie Robertson appears on the deluxe edition of Jerry Lee Lewis' upcoming record Mean Old Man, doing "Will The Circle Be Unbroken" with The Killer, Mavis Staples and Nils Lofgren. Thanks to "Brown Eyed Girl" for the links above. This concert celebrates the release of Joe's new CD titled NEW KIND OF BLUE with an all-star ensemble featuring GARTH HUDSON of The Band, guitarist/producer ERIC "ROSCOE" AMBEL (Steve Earle, Nils Lofgren), bassist MARK DANN (everyone who's anyone in folk music! ), Marshall Crenshaw drummer DIEGO VOGLINO, and a guest appearance by vocalist MAUD HUDSON (Albert Collins, The Band). The Sadies Celebrate Darker Circles! GARTH and MAUD HUDSON will be with THE SADIES on Friday, JULY 23 at the BOWERY BALLROOM in NYC. Ticket prices are as low as can go so everyone can come to the party! Celebrate The Sadies' new CD titled DARKER CIRCLES. Videos with Garth Hudson and Jakob Dylan, from the show at the Bearsville Theater in Woodstock on Friday, are now available on YouTube. Thanks to Brown Eyed Girl for posting the links in our guestbook. The Levon Helm Band are playing at the Cisco Ottawa Bluesfest in Ontario, Canada, today. Here's a scan of the festival poster, provided by Bill Munson. From YouTube: Live cover of "Look Out Cleveland" by The Hold Steady and Drive-By Truckers. Thanks to Christian Nolen for the link. Follow The Levon Helm Tour on Facebook! Professor Louie and Miss Marie will be on tour in Italy with our old friends The Beards, from July 21st to August 3rd! Should be plenty of goodies to enjoy for fans of The Band and Dylan, then. See The Beards web site for tour details. "Levon Helm shines in Toronto" -- review of Tuesday's concert at the Massey Hall. From Facebook yesterday: "Robbie Robertson will be finishing up the mixing and mastering of the new album in July." This year's 25 song and album selections by the Librarian of Congress for preservation in the National Recording Registry include The Band's self-titled album! See this Variety article for more info. Garth Hudson plays on the new album A from Jimmy Goodman's A Viberatto project. Levon Helm appears on one of the CDs in the Allman Brothers live box set from the Beacon Theatre, NYC, March 2009. "The Levon Helm Band: 8 May 2010 - Charlottesville, VA -- concert review by Justin Cober-Lake from PopMatters. Updated the singles discography with the 1970 UK single Who Do You Love. Scan by Peter Viney. The Band opens the 2009 soundtrack album Observe and Report. Garth & Maud will be joining the Ronnie Hawkins All-Star Jam on Thursday, August 12, 2010 ... Also performing : Colin Linden, The Sadies, John Till, B.W. Pawley & Plum Loco, and more ... Venue: Dog's Nest at Dover, Friday the 13th Bike Rally in Port Dover, Ontario, Canada.Tickets are on sale now: www.dogsnest.ca. Garth & Maud have been invited to participate in the Roots Rock Rendezvous with Joe Flood on Friday, July 30, 2010 at "The Kate," 300 Main Street, Old Saybrook, Connecticut. This is to celebrate the release of Joe's new CD titled New Kind of Blue with an all-star ensemble featuring Garth Hudson of The Band, guitarist/producer Eric “Roscoe” Ambel (Steve Earle, Nils Lofgren), bassist Mark Dann (everyone who’s anyone in folk music! ), Marshall Crenshaw drummer Diego Voglino, and a guest appearance by vocalist Maud Hudson (Albert Collins, The Band). The Kate: www.katharinehepburntheater.org. Facebook Player for Levon Helm. Photos from Levon Helm's 70th Birthday Bash & BBQ, Woodstock, NY, 05.22.2010. Loads of new June, July and August tour dates for the Levon Helm Band. Happy 70th Birthday, Levon Helm! Birthday greetings may be posted in Levon's guestbook. "Celebrities offer birthday wishes to Levon Helm". "Musician Levon Helm turning 70" -- article from the Times Herald Record, with a 70th birthday video tribute to Levon. Thanks to Timothy Wood for the link. "Eric Clapton & Steve Winwood are performing an amazing version on 'The Shape I'm In' on their current European tour (so far 1 night in Birmingham & 2 in London, which I witnessed). There are some shaky videos on YouTube, and fan reviews on www.whereseric.com." Garth and Maud Hudson appear on Fabrizio Poggi's new album Spirit & Freedom. Check out this YouTube video clip from the '80s film The Man Outside, featuring Rick, Levon, Garth and Richard! The Americana Music Association has nominated Levon Helm for the 2010 Artist of The Year. Other nominees are Ryan Bingham, Patty Griffin, Steve Earle and Ray Wylie Hubbard. We kind of like this one: "Getting to Know Rick Danko (Through Notebook Doodles) "
Mountain Jam returns to New York's Hunter Mountain from Friday, June 4th -- Sunday, June 6th, 2010. Featuring performances by Gov't Mule, Levon Helm & Friends 70th Birthday Jubilee with very special guests (including: Warren Haynes, Ray LaMontagne, Steve Earle, Patterson & David Hood, Jackie Greene, Allison Moorer, Donald Fagen of Steely Dan and more T.B.A. ), Alison Krauss and Union Station featuring Jerry Douglas, Michael Franti & Spearhead, Derek Trucks & Susan Tedeschi Band, The Avett Brothers, Les Claypool, Yonder Mountain String Band, Drive-By Truckers, Matisyahu, Toots and the Maytals, Dark Star Orchestra, Grace Potter and the Nocturnals, Dr. Dog and more. Don't Miss 40+ bands on 4 stages. Legendary drummer for The Band and longtime local Woodstock resident Levon Helm will celebrate his 70th Birthday by closing Mountain Jam on Sunday, June 6th with a little help from a few well-known friends. Billed as Levon Helm & friends, the performance will feature a number of world class guests. Robbie Robertson's new song "How To Become Clairvoyant", written for his upcoming solo album and used in season 2 of HBO series True Blood, is available on a soon-to-be-released True Blood soundtrack album. Garth Hudson can be heard on brilliant new album The Foundling from Mary Gauthier. Robbie Robertson is writing a song for the new season of HBO TV series True Blood, according to this April 2010 article from the New Orleans Times-Picayune. Thanks to Tom Wilk for the link. Blues harp player and vocalist Chris O'Leary, lead singer for Levon Helm and The Barnburners for seven years, is now fronting the brilliant Chris O'Leary Band. They have a new CD out and the release party is tomorrow, Saturday May 1st, at The Towne Crier Cafe in Pawling, NY. Show starts 8:30, Tickets are $15/ advance, $20/door. Thanks to Stu Hruska for the links. "He's with The Band... literally" -- interview with Andy Robinson who used to work with the reunited Band in the '80s and '90s. Thanks to Tim Wood for the link. Thanks to Brown Eyed Girl for pointing us to these. "This is the version I heard Rick do as an acoustic trio on Canadian TV. It's a more upbeat, and in my mind, happier version than on the album. The chords should be the same, though. If anyone has a copy of this version, please let me know how to get a hold of it! I found it on YouYube about 2 years ago, and it got removed... but, believe me, it is pure gold and should be heard. " Included information, sent to us by Les Barany, about the painter who created the artwork for Cahoots. AN AUTOGRAPHED YAMAHA RECORDING CUSTOM 20th ANNIVERSARY 4 PIECE DRUM SET OWNED AND PLAYED BY LEVON HELM DURING THE 1990'S. Proceeds will go to Richie Hayward, drummer for the band Little Feat who was recently diagnosed with liver cancer. We are issuing only 500 tickets at $250.00ea. This drum kit is in excellent condition and comes with Hardware, Stands and Cases. "Down Home With Levon Helm" -- 1994 article from People Magazine. Thanks to BEG for the link. Check out these recordings by TJ Colatrella with Garth Hudson. "Road Trip: Woodstock & Levon Helm's Midnight Ramble" -- blog entry from doryadams.com. Very interesting article in the West Saugerties Journal today! Check out these wonderful photos of The Band on stage in Hamburg, Germany, 1971. Thanks to Tim Wood for finding them on Flickr. "Roots, Rapture, and R&B: Levon Helm Band at the State Theatre, Friday Mar 5, 2010"
"The Levon Helm Band captivates audience at The State Theatre"
1988 Robbie interview on YouTube: Part 1, Part 2. Thanks to BEG for the link. "Levon Helm to be honored by Fordham University radio station". "Life in focus: Helm's film ready for spotlight"
"When I Paint My Masterpiece" -- painting of The Band and Dylan by Jason Gluskin. As this web site, with it's stubborn '90s format and a retiring and tired webmaster, is slowly fading out of action and into the relics museum, it is good to see people like Carol keeping the flame burning. Check out her Rick Danko site for some pretty good stuff that's been added lately. "Lifetime Achievement" -- clip from the upcoming documentary Ain't In It For My Health: A Film About Levon Helm, premiering soon at SXSW. Ahh... listen to the magic of our own Honey Boy: "The Water Is Wide" -- Karla Bonoff, 1979, from Restless Nights. Another surprise from Youtube: Makoto Kubota with Lee and Garth! For sale on eBay: The Band The Last Waltz Gold Album signed by Levon Helm. This is a benefit for Little Feat drummer Richie Hayward's medical needs. Hadn't seen this one before: "Sweet Peach Georgia Wine", Levon and the Cate Bros, Canadian TV, May 1981. Great band, Ron Eoff was and is one of our favorite bass players. "Terry' Danko's new collection of songs, Portrait: Outside Looking In, is a very stark, introspective, honest, totally unselfconscious compilation. It is unlike anything he's done in the past -- this music is the product of someone who has been through things, who's experienced slings and arrows. The songs are bare-bones in the best way -- no layers, no fluff, no complex production. Just Terry, his songs, and his guitar. We'll be sending some more in the coming weeks and months. Enjoy." "Levon Helm Brings His Ramble Across the U.S. and North of the Border to Toronto, Calgary and Edmonton" -- article from exclaim.ca. Thanks to "Brown Eyed Girl" for the link. "1 or maybe 2 songs to go... Could be a summer/fall release." -- Robbie Robertson about his upcoming solo album (from Facebook, February 2, 2010). Added two late '90s photos from Levon Helm Studios, contributed by Butch Dener. A new Robbie Robertson-produced soundtrack album was released this month: Shutter Island: Music from the Motion Picture. "Levon Gets Personal" -- review of a January Midnight Ramble from Honest Tune, The Southern Journal of Jam. Thanks to Tim Newby for the link. "Dale Hawkins Dies at 73; Rockabilly Author of 'Susie Q'" -- obituary about The Hawk's cousin, from the New York Times. Link from Freddie Bateh. "Still making music together: Scorsese and Robertson, longtime pals, pair up for eighth film" -- article about Robbie's involvement in Martin Scorsese's Shutter Island, from yesterday's The Halifax Herald. Thanks to Mark Roseman for the link. Nine more photos from Watt Casey, Jr of The Band in Buffalo, NY, 1974. A new documentary titled Ain't In It For My Health: A Film About Levon Helm will have it's world premiere at the South by Southwest (SXSW) music, film, and interactive conference in Austin, TX, in March. See the SXSW web for details. Facebook users: Join the group "Nominate Rick Danko for Canada's Walk of Fame" now! Or you may go directly to the CWoF web site and nominate Rick there. Congratulations to Levon Helm for winning his second consecutive Grammy, for Electric Dirt, in the category of Best Americana Album of 2009! Levon received the recording industry's highest honor at the 52nd Grammy Awards. The other nominees in this category were Bob Dylan, Willie Nelson, Wilco and Lucinda Williams! Added a late '90s photo of Levon with Amy Helm and some old road manager. Thanks to Butch Dener for sending the pic. Thanks to Watt Casey, Jr. for sending us these 21 previously unpublished photos of The Band on stage in Austin, TX, September 1976. Join the Levon Helm Street Team to help spread the word about Levon's music and tours! GARTH and MAUD HUDSON at the SUNDANCE FILM FESTIVAL! Garth and Maud are on their way to the Sundance Film Festival right now. Oasis Entertainment has invited them to perform this Sunday evening, January 24th (time 10pm) at The Sundance Film Festival as part of the "Synchronize Concert Series" in support of Soliya at Crown on Main in Park City, Utah. Please RSVP while there are still tickets. Watch and listen LIVE too at synclive.com (webcast is free, but you must register to use it). Rick Danko's brother, Maurice Danko Junior, 69, of R.R. 6, Simcoe, Ontario, passed away 19 Jan 2010. He is survived by his wife and best friend for 49 years, Joyce Howick, their children Lori, Maurie and Sue, three grandchildren, and brothers Dennis and Terry. Junior was predeceased by his parents Maurice Senior("Tom") and Leola, and his brother Rick. Cremation has taken place. "Down Home with The Band: Country-Western Music and Rock" -- academic 1976 article about The Band's music. Thanks to "Brown Eyed Girl" and her friend David Lewis for sending us this one. "Jim Weider's Project Percolator: Pulse" -- 6-star review from Blurt Magazine. I've always found it interesting that The Band was--and is--referred to as a "rock group." Actually, I haven't always found it interesting--I sometimes catch myself referring to them that way, even now. Old habits die hard, but the truth is, The Band was not a rock group. And Rick Danko was not a rock artist. The Band was much more complex, subtle--and pure--than rock and roll. And though, when I was younger, long before I ever knew him, I had thought of Rick as a "rock star," I realized quickly after I met him just how ill-fitting that moniker was. First of all, Rick was a country boy--born and raised in the country, and with a country mentality and a country sensibility. Second, the music he grew up loving--really loving--was country music. Later, Rick developed a love for the blues and, still later, R&B, but, by the time rock and roll was considered a genre, Rick was a teenager. His formative years were spent listening to country radio stations and daydreaming about the Grand Ol Opry. And his first instrument was not a guitar, but a four-string tenor banjo; not your typical rock-star axe. So, while early rock and roll did affect him and influence him to an extent, it was by no means his driving musical force. And, like many other elements of his life and his career, his musical persona was rife with contradiction, a study in contrast. On the one hand, there was this backwoods bumpkin singing Burl Ives campfire singalongs on a tiny lonesome stage, and on the other, there was this ultra-cool longhaired rebel with sunglasses and a cigarette and black leather boots helping Dylan set the music world on fire by going electric. The dichotomy helped define Rick and his music over the years, yet, at the same time, kept him from being pigeonholed. It also kept him from becoming a "household name"--but it's just as well. That's the way God, or fate, or the cards, or the universe intended it. It's why The Band was a nightmare from a promotional and marketing perspective, and why they endure and mystify decades after so many of their contemporaries have fallen by the wayside. It's why "Somebody to Love" sounds dated and "Long Black Veil" seems timeless, why a great song like "A Whiter Shade of Pale" sounds like a 60s song, while a great song of the same era, "The Weight," sounds at once brand-new and eternal. It's why Rick could yodel while wearing a pink shirt and a gambler's hat on The Ed Sullivan Show while his cohorts were blowing out amps and wearing Nehru jackets and love beads. It's why he could sing "Lucky Old Sun" to a beer-drinking crowd and nobody laughed, and why he could sing "It Makes No Difference" to the same crowd and everybody cried. 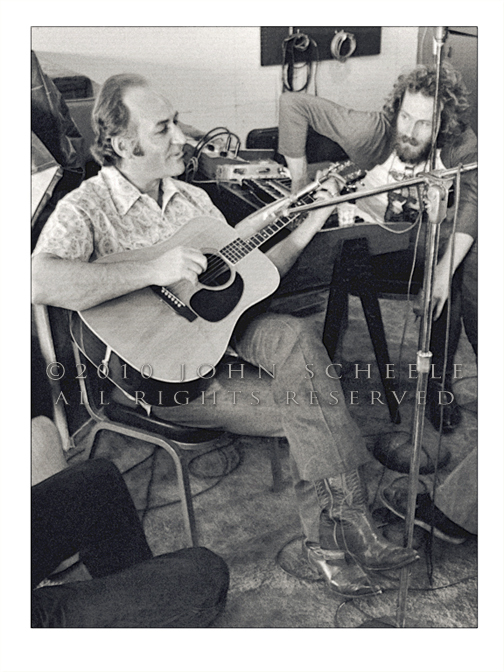 John Scheele sent us this photo in honour of "that low-key marvel of a songwriter", the late Bobby Charles -- "he was famously no publicity seeker": Charles and Neil Young, 1975. Five more photos from Watt Casey, Jr of The Band in Buffalo, NY, 1974. Added four 1974 photos from a gig where The Band opened for Eric Clapton. Thanks to Watt Casey, Jr for sending us the scans. "Bobby Charles, Louisiana songwriter, dies at 71". Link provided by Jonathan Katz. May you rest in peace, Bobby Charles. New photos from Levon's New Years' Eve Ramble.